Eddie Mair is Leading Britain's Conversation. 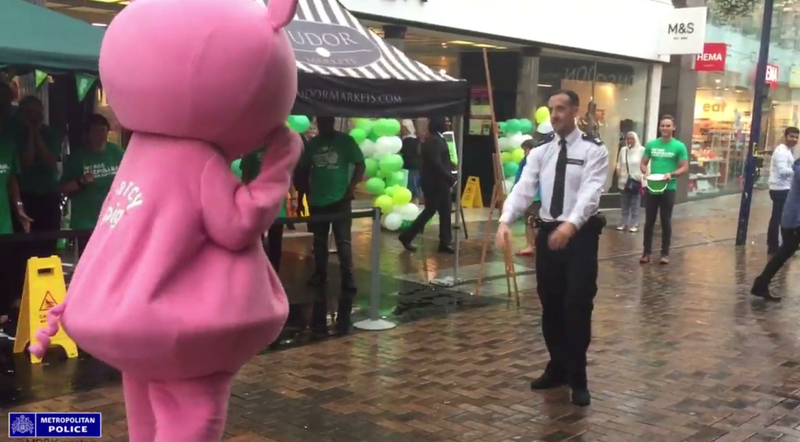 This is the hilarious moment a police officer engaged a pig mascot in a dance battle on the streets of Kingston. This video was shared by MPS Kingston and shows the mascot and police officer squaring off on the street in Kingston. But the mascot did not count on the policeman’s dancing technique, as he broke out some serious breakdancing moves. Watch the hilarious clip that has set the internet on fire.